The colorful Tujia brocade culture is formed through thousands of years’ inheritance, development, and creation in China. However, the influence of the Tujia brocade culture has been gradually weakened for the restrictions of regional and economic development. Also the traditional brocade handcrafts are on the verge of disappearing. Consequently, it is important and necessary to reconstruct traditional Tujia brocade skill by using digital protection technology. 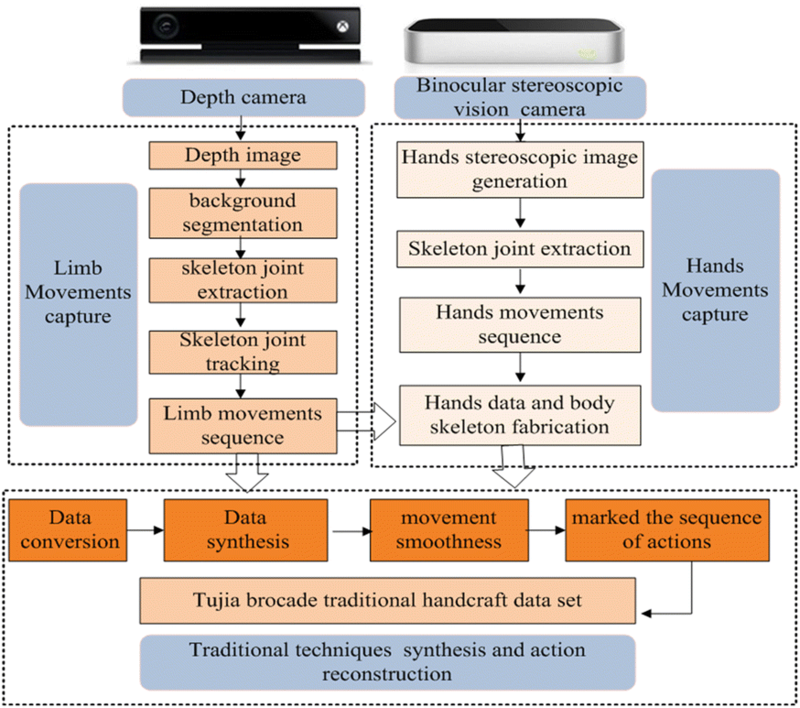 Lots of researchers have studied the reconstruction of cultural scenes through the virtual simulations of character movements in the field of intangible cultural heritage, and most studies focus only on limb movements or only on detailed hand movements, while few of them have combined the limb movements and detailed hand movements. According to the characteristics of Tujia brocade craftsmanship, a solution of virtual reconstruction of the traditional Tujia brocade handcrafts to solve the difficult problem for the simultaneous synthesis of limb movements and detailed hand movements was presented in this paper. The solution used Kinect (Kinect for windows v2) and Leap motion to capture the limb movements and detailed hand movements respectively. Then it established traditional process motion data set of Tujia brocade by integrating limb and detailed hand movement data. Finally, it adopted mean smoothing algorithm to manipulate the motion data and drove the character model to realize the virtual reconstruction of the traditional Tujia brocade handcrafts. 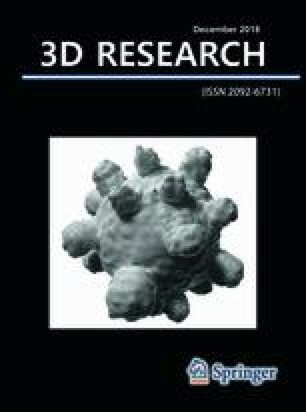 Multiple simulation and system fluidity test results showed that the proposed method could solve the problem of simultaneous synthesis of limb movements and hand movements in virtual reconstruction of traditional handcrafts effectively. This work has been supported by the Planning Fund named Research on Outdoor Experiential Learning Environment Construction Method Based on Scene Perception granted by the Humanities and Social Science project of Chinese Ministry of Education with Grant No. 17YJA880104.